A recent study investigated the choice of activities after retirement and how they impact mental health. Retirement is surely a period of big changes in an individual’s life, and the way individuals use their time may impact their mental health differently. 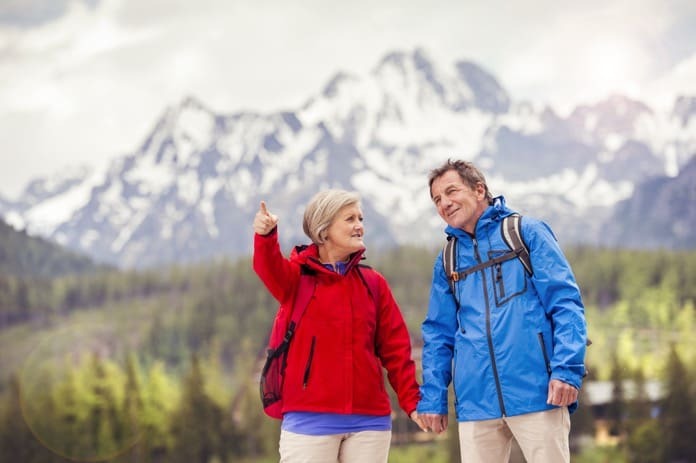 In some cases, people going through retirement may find more energy and excitement to explore new places and activities. For people where high levels of family stress interfering with personal time, retirement often leads to more positive outcomes and fewer symptoms of depression. A recent study on Australian retirees published in PLOS ONE sought to find how retirees deal with their extra time and how it affects their mental health. For the study, they determined how work time was replaced with physical activity, screen time, and sleep, and how all of these contributed to changes in mental health. The researchers assessed the participants’ mental well-being by monitoring depression, anxiety, and stress. They also considered self-esteem, well-being, and life satisfaction Educational qualifications of the participants, marital status, retirement reasons, and rough household income were some of the other variables taken into account. The study method was time recall wherein participants went over the last two days from midnight to midnight going over each activity as it occurred, chronologically. The study found that most of the participants were happier after retirement. Mental health had seen to improve; however, anxiety and life satisfaction did not have significant differences. Men and women were also not seen to have many differences in this study, thus gender did not affect mental health post-retirement. Further, the findings indicated that 40% of the time spent at work was now replaced by chores around the house. Sleep time, screen time, and quiet time each took up around 20% of the participants’ time. Changes in time use were definitely linked to mental health. Replacing time at work with physical activity was seen to improve various aspects of mental health rather than replacing it with screen time or social activities. This finding is largely in line with the majority of previous studies done on this topic. A similar Swedish survey yielded results that indicated that people unemployed had higher levels of anxiety, unhappiness and distress compared to those who were employed. However, an important point to note in this contraindication is that persons who retired did so out of poor health, which could have led to this. This study does have important implications and encouraging physical activity in this age group while challenging is important to reap the benefits. Even small amounts of physical activity had positive effects than no physical activity post-retirement. Some of the limitations of this study include a social desirability bias in responses and the fact that it was largely based on self-reports. The sample size was also small and representative of a wealthier group of people who had well-paid positions before retirement. A lack of a control group is also a study limitation. Nevertheless, the researchers conclude that replacing work with more physical activity in retirement is associated with better mental health. Reference: Olds, T., Burton, N. W., Sprod, J., Maher, C., Ferrar, K., Brown, W. J., … & Dumuid, D. (2018). One day you’ll wake up and won’t have to go to work: The impact of changes in time use on mental health following retirement. PloS one, 13(6), e0199605.